Amanda joined Barton Veterinary Hospital in December 2017 following a career in human healthcare. She loves her job and the daily challenges of practice life. Amanda's aim is to support our staff to be the best and driven to offer the best possible service to our lovely clients and their pets. She has an adorable rescue Lurcher called Gus and outside work she enjoys going camping locally with her partner and of course Gus. 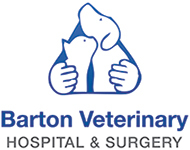 If you have any questions, ideas or comments about Barton Vets, please contact Amanda or pop in. She is more than happy to have a chat with you as we are always keen to receive feedback so we can strive to be the best that we can be. Carol is our most experienced and long standing receptionist having rejoined Barton in 1983. She is now our secretary and administrator, taking care of referral reports as well as being in charge of all the insurance claims. Carol is an avid reader and likes to spend time with a good book, with her lovely cat, Cocoa, curled up next to her. Emily joined the team in June 2018, having been working previously in hospitality. Since joining she has earned the title ‘Barton's very own Mary Berry’ as she regularly brings in delicious baked goods. Emily has two dogs at home called Ollie and Maya. Tara started working at Barton Veterinary Hospital and Surgery in September 2018. She has always had an interest in animals, especially cats and rabbits. In her free time Tara loves cooking, baking and all things Disney. Tina joined the reception team in 2005. She is a pet insurance advisor and is in charge of supervising bookings for our radioactive iodine therapy. She is also Healthy Pet Club coordinator and is always willing to help with any queries you may have. In her spare time, Tina enjoys spending time on her allotment. She shares her home with a rescued cat called Chewy who came into Barton as a stray. Emma joined the team in April 2018 and has great experience in customer service from her time spent working in hospitality and the ambulance service. She has adopted a lovely little kitten called Luna who was brought into the practice needing a home. Emma is in charge of our bereavement services here at Barton Vets.